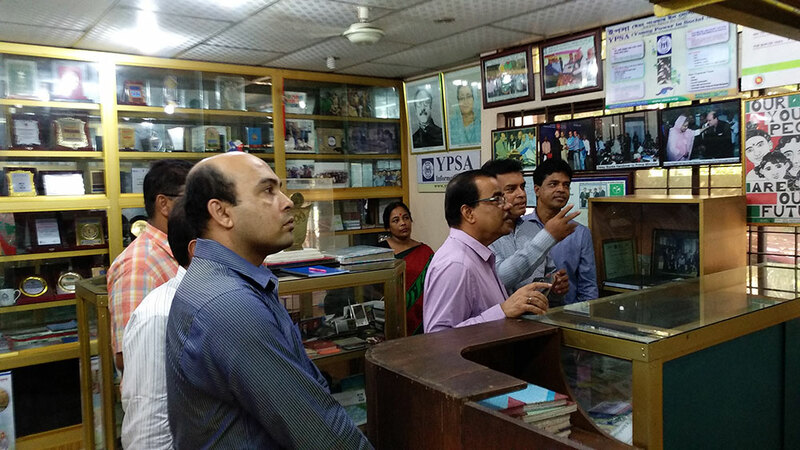 Mr. Amalendu Mukherjee, Executive Vice Chairman, Microcredit Regulatory Authority (MRA), Financial Services Division, Ministry of Finance, Government of the People’s Republic of Bangladesh visited YPSA Head Office on May 27. MRA Senior Assistant Director Md. 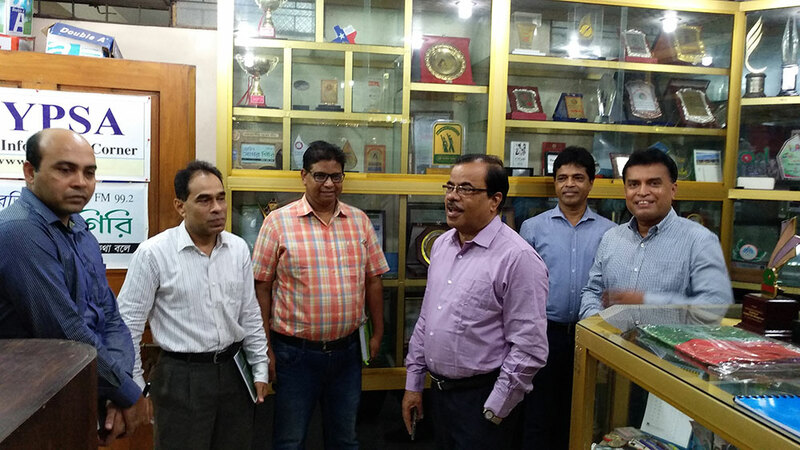 Faridul Haque was present during his visit. They visited the YPSA Information Center and then they attended a sharing meeting with all the directors and senior officials in the conference room. 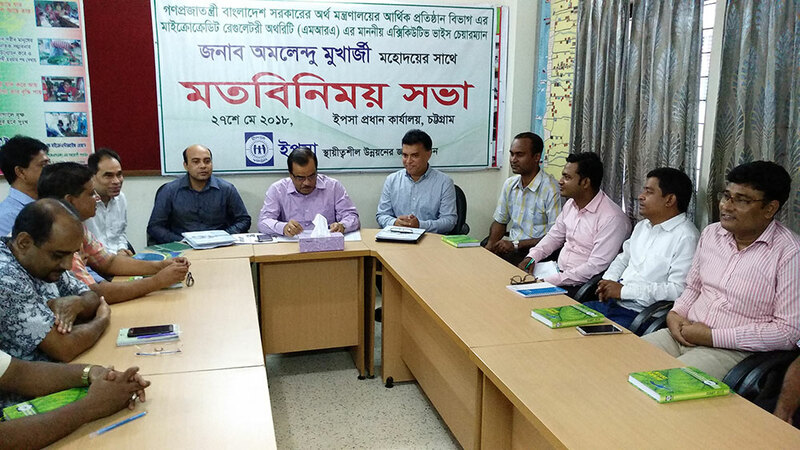 The details of the various rules and regulations of the Microcredit Regulatory Authority (MRA) Act 2006 and Rules 2010 were discussed in the meeting. Executive Vice Chairman shares his experiences on successes, failures, challenges of various MFIs in Bangladesh. He emphasized the duties of the microfinance institutions, especially transparency and efficiency of activities with the targeted population in the future. 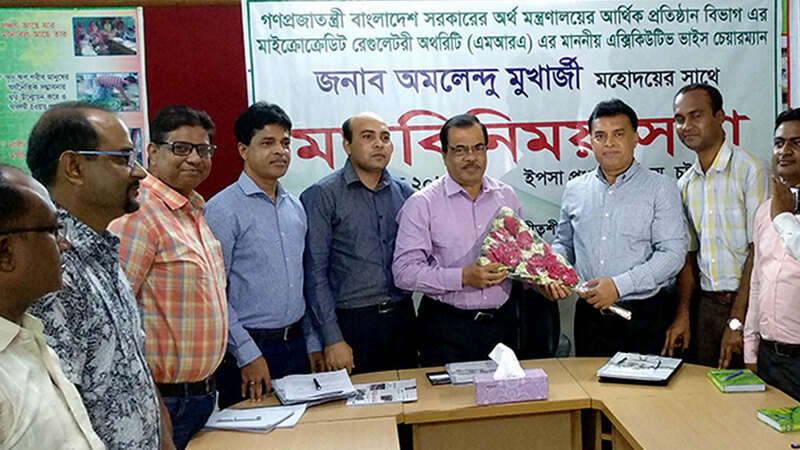 He said, it is necessary to increase the income of MFIs for the sake of the organizational sustainability and the sustainability of its programs as well. They should follow the Microcredit Development Model properly and improve the efficiency of the staffs and their benefits.